Root Candles is a well-known name in Medina County for its longevity, participation in the community, and wonderful products. Made in Medina County sat down with Frank Graziano, Director of Operations to find out what’s happening. 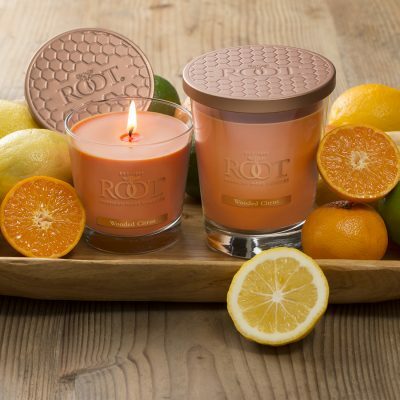 Q: Please share with our readers some of the history of Root Candle. 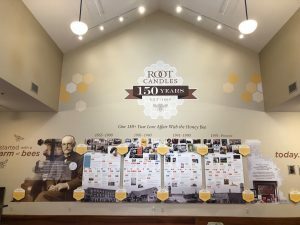 A: Root Candles was founded in 1869 by A.I. 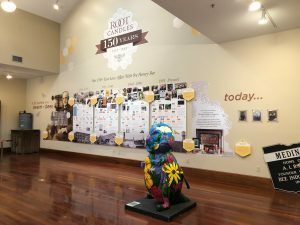 Root in Medina. A.I. had a jewelry store in Medina Square and the story goes that one day a swarm of bees landed on the window. He started in bee-keeping shortly thereafter and the rest is history! Many of the innovations in those early years were in liturgical candles serving churches around the area. They needed candles that didn’t have problems in the heat, would burn cleanly and meet the needs of services throughout the year. 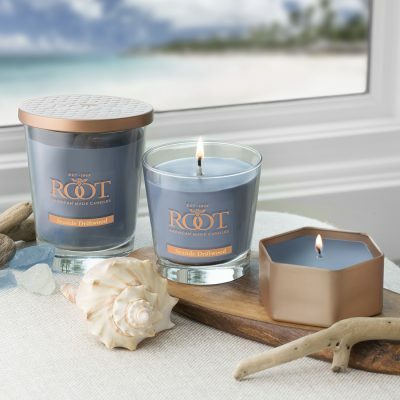 Root Candles has been a leading supplier of candles ever since. It was a natural evolution to begin providing candles to the consumer market. A clean-burning, attractive, and well-scented candle is a great addition to décor or as a gift and it was a natural market for us. Q: Bees play a major role in your company’s history. Is there more to it than just beeswax candles? A: Originally A.I. got involved in bee-keeping and was responsible for a good bit of the knowledge and practices within the bee-keeping industry. His publications are still used today and are revered as the seminal work on bee-keeping. Because we started from bees and beeswax, our branding is all centered around bee themes. You will even see it in our packaging! Q: You have described Root Candles as “the best kept secret.” Why is that? As we have gotten into the consumer market more and more, it has become very important to make sure people know about us and our products. Between our full time director of Marketing, Heather DeRosha and our new CEO, Miquel DeGracia who brings terrific perspectives and expertise from his background in consumer goods, we are confident we can get the word out. We are really excited to see where our new leadership takes the company! In 1929 we opened a facility in Texas where we have about 25 employees Here in Medina we have 125 We also sell a great deal online. Anything sold online goes through the Medina location and is hand-packed to be sure it is secure. Q: Since Root Candles started in Medina County, it makes sense you are here. Are there other reasons? Our founder was born in Medina County, we have grown in Medina County, and we intend to stay in Medina County. In a business like ours, relationships are very important. Our vendors and customers are in this area and know us. And the most important asset we have is our team. They are all local and we couldn’t do this without them. Q: To what do you attribute the commitment of your employees? A: It is all about our culture. We are very ethical and hard-working, passionate about what we do and there’s a real sense of history. The most important thing to the management team is taking care of our employees. We have been able to give them opportunities they wouldn’t have elsewhere. We often get families working here and our workers bring in friends and referrals. We also are still in contact with retirees and invite them back for events. There is a real sense of connectedness. Q: How do you do product development? A: Customer feedback and our market research drives our product development. On the church-side of things, we work closely with them in order to make their work as easy and as efficient as possible so they can focus on the spiritual needs of their communities. 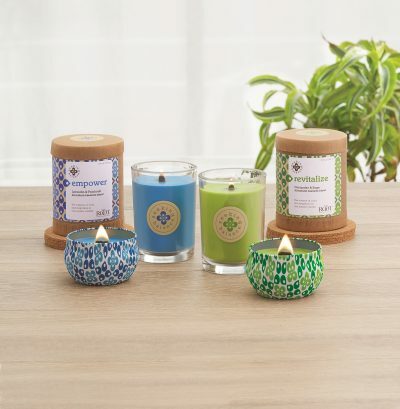 On the consumer goods segment, fragrance is everything – our customers tell us that the fragrance creates an ambiance and evokes positive memories – and these are very personal things For example, we are hearing more and more about people lighting multiple candles at a time to blend their own scent so we’re excited about that. And of course we watch fashion trends to see what’s coming next. Candles are a big part of decorating and we want to stay current with what people need. Q: What do you see for the future of Root Candles? A: We are very excited about what is to come next. With our focus on marketing we think more customers will get to know our brand and we will continue to grow. We have a great team and we want to keep the future burning brightly!